Still not the smartphone you are looking for. 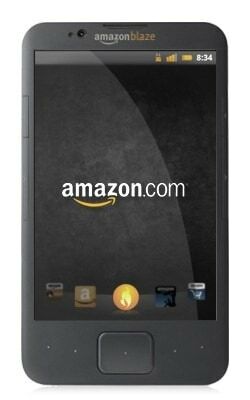 Amazon is reportedly going to use a 4.7-inch screen for its smartphone that is expected to be released in the second quarter of 2013, according to industry supply chain sources. The company was previously considering a 4.3-inch screen but later scrapped the idea after witnessing increased demand for larger size screens among consumers, said the sources. For a device that might not even exist, Digitimes sure does know a lot. They even have other sources that say the switch to a larger screen was the cause of the rumored production delay. As much fun as it may be to repeat all this gossip, I am not sure I believe any of it. It is still far too likely that this whole family of rumors is just wishful thinking. Do you know what I am waiting for? I want to see either a leaked product image (like the Kindle Paperwhite leaks from last August) or a report that a reliable tech blog has put their hands on the new device (like Techcrunch and the Kindle Fire in 2011). Amazon has a certain pattern to their leaks. They have almost always dropped a hint of one kind or another to a major tech blog, and it's always been an American tech blog. I think Amazon is likely to repeat this pattern because it works, and until they do I will take all Amazon hardware rumors with a grain of salt. 4.7″ paperwhite display phone? think of the battery savings! I’d buy one. I’m not replacing my 5 y.o. flip-phone until I can find something that will have the same battery life.